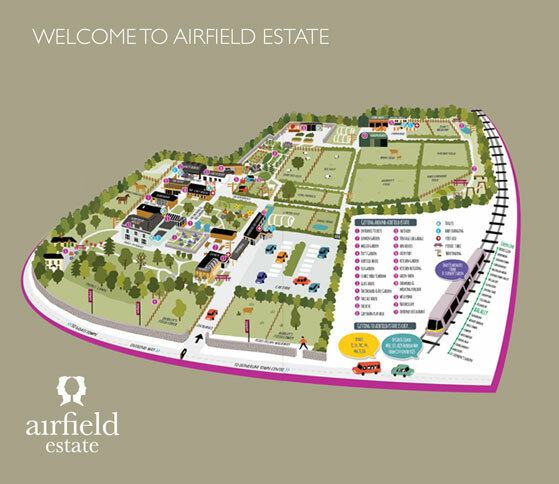 Airfield is something different to everyone who visits: a haven for gardening enthusiasts, animal lovers, food lovers, families and peace-seekers, we go the extra mile to give everyone a great day out. Get cosy with our hens, collect freshly laid eggs at 10 am or see our beautiful Jersey herd being milked at 10.30 am. Make friends with our goats, pigs, hens and donkeys and if you time it right you’ll see them getting fed by our farm team at 11 am and 3.30 pm. Explore the Overend family home and vintage car garage to learn more about the Estate’s historic importance and original artefacts. We’ve guided tours on Wednesday – Sunday. Enjoy seasonal walking trails taking in the native woodland and bounty of wildlife on the estate. Take in our beautiful gardens, designed by Head Gardener Colm O’Driscoll and internationally renowned guest gardeners – with century-old redwoods and fruit trees. This is the perfect spot for a chat, a good book or a picnic. We’ve miles of tracks and paths to explore and play areas dotted all over the estate for kids up to 12 years old. We’ve gentle lawn games in the summer months, fancy dress in Airfield House, an outdoor story corner, a barn full of toys for imaginative play for young tots and Naturescape – an outdoor adventure playground with climbing frames, scramble nets, slides, swings, balance beams, tunnels and a zip wire for young thrill-seekers. Be our guest at the award-winning Overends Kitchen, where Luke Matthews and his talented team present a bounty of flavour from sustainably sourced food from our own doorstep.